5 minutes from the skiing area Kronplatz, in the heart of the Dolomites, with new rooms, suites and restaurant as well as with extended wellness area. Welcome to Alpinhotel Keil in Olang! 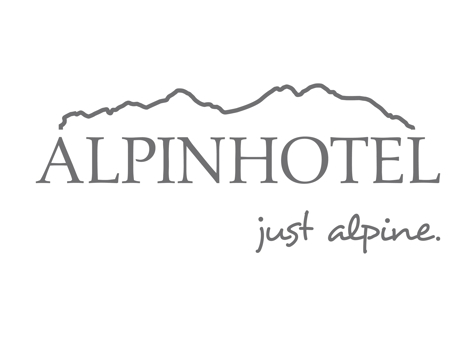 Alpinhotel Keil is located in the beautiful Pustertal Valley, in the heart of the Dolomites. Thanks to the simple and modern alpine architecture and the proximity to the ski and hiking paradise Kronplatz, Alpinhotel Keil is the perfect accommodation for an activity holiday in South Tyrol with a really good value for money. Our house has been recently renovated and offers inviting rooms and suites in a modern Alpine style. Our guests have the choice between only nights, bed and breakfast or half-board with our delicious Tyrolean and Mediterranean cuisine. The guests pay only the services that they really want and have the possibility to change their decision daily. Relaxation you can find in our Finnish sauna, bio sauna, steam bath, the heated whirlpool, the infrared cabin, fresh air area, adventure showers and relaxation room. Alpinhotel Keil is located only a few minutes from Mt. Kronplatz away. There are countless possibilities for different leisure time activities like skiing, mountain biking, hiking, paragliding and much more. In the nearby town Bruneck you can find inviting bars, restaurants and shops. Enjoy the unique natural landscape of the Dolomites! Alpine flair | smart | intimate In this small single room, you can enjoy an Alpine and intimate atmosphere together. The dominating elements, in fact, are light spruce wood, textiles in earthy colours, and a pleasant luminosity reminiscent of the sun on the peaks of the Valdaora Dolomites. A small suggestion: enjoy the sunset from the balcony or private loggia, and admire the skyline of the Alpine peaks. Furnishings (2013): 17-21 m2 with private balcony or loggia, high-quality mattresses, anti-allergy carpeting, flat TV with satellite connection, free W-LAN with connection to daily press, safe, telephone. Bathroom furnishings: stylish bathroom with sliding glass door, mirror for cosmetic purposes, shower, WC, hair dryer, toiletry products, and high-quality towels. Alpine flair | smart | intimate In this double room, you can enjoy an Alpine and intimate atmosphere together. The dominating elements, in fact, are light spruce wood, textiles in earthy colours, and a pleasant luminosity reminiscent of the sun on the peaks of the Valdaora Dolomites. A small suggestion: enjoy the sunset from the balcony or private loggia, and admire the skyline of the Alpine peaks. Furnishings (2013): 17-21 m2 with private balcony or loggia, high-quality mattresses, anti-allergy carpeting, flat TV with satellite connection, free W-LAN with connection to daily press, safe, telephone. Bathroom furnishings: stylish bathroom with sliding glass door, mirror for cosmetic purposes, shower, WC, hair dryer, toiletry products, and high-quality towels. Alpine flair | light | natural Here you can really relax and let your mind wander. In the furniture of this ample, modern double room, we have inserted the amber colours of the Alpine countryside, with particular attention to the furniture in light spruce wood. The main attraction of this room is the breathtaking view of the Alps and of the Plan de Corones, which you can enjoy from the balcony. Room furnishings (2013): 22-28 m2 with balcony, dark wood floors, high-quality mattresses, flat TV with satellite connection, free W-LAN with connection to daily press, safe, telephone. Bathroom furnishings: shower, WC, bidet, hair dryer, mirror for cosmetic purposes, toiletry products and high-quality towels. Alpine flair | attractive | sunny This luminous double room caresses the soul and awakens the senses. The combination of furniture in light spruce wood, dark wood floors, and textiles in earthy colours creates a particularly comfortable environment. In addition, due to its southward exposure, the lighting is pleasant and natural. Our favourite “touch”: the panoramic terrace furnished with deck chairs, right in front of the Dolomites. Room furnishings (2013): 22 -28 m2 with panoramic terrace, high-quality mattresses, flat TV with satellite connection, free W-LAN with connection to daily press, safe, telephone. Bathroom furnishings: shower, WC, bidet, hair dryer, mirror for cosmetic purposes, toiletry products and high-quality towels. Alpine flair | ample | family-friendly Our family-friendly room will make young and old feel at home. Separation of the sleeping areas gives the environment a harmonious feeling, and in the morning, in the large bathroom, all family members can brush their teeth at the same time. The main attractions of this room are the morning sunshine and the beautiful view you can enjoy from the balcony. Room furnishings (2013): 31-38 m2, furniture in light spruce wood, bunk beds (normal size) for children, dark wood floors, flat TV with satellite connection, free W-LAN with connection to daily press, high-quality mattresses, safe and telephone. Bathroom furnishings: large bathroom with shower, WC, bidet, hair dryer, mirror for cosmetic purposes, high-quality towels and toiletry products. JUNIOR SUITE DOLOMITES - NEW!! Alpine flair | elegant | high class In this Junior Suite, design and comfort have an all-natural flavour. Furniture is in precious oak, and the private loggia gives the environment a really unique atmosphere. A small suggestion for those who love comfortable intimacy: sink into the large, soft sofa in the living room area, and don’t miss the modern, comfortable maxi-shower. Room furnishings (2018): 32 - 38 m2 with private loggia, flat TV with satellite connection, free W-LAN with connection to daily press, high-quality mattresses, safe, telephone. Bathroom furnishings: separate WC-bidet area, maxi-shower, double bath, hair dryer, mirror for cosmetic purposes, high quality Piroche brand toiletry products, and soft towels. JUNIOR SUITE FAMILY - NEW!! Alpine | family time | style 34 - 40 m2 with South-facing loggia and separate children’s sleeping area. In our new Family Junior Suite, in oak, there is place for everyone and you can enjoy the comfort in pleasant company – a comfort that, in particular, is a result of the separate children’s sleeping area with panoramic window, the walk-in closet and the maxi-shower in the modern bathroom. Main attractions: the loggia facing South and... lots and lots of space. Room furnishings: 25 cm thick high quality mattresses, flat TV with satellite connection, free W-LAN with connection to daily press, children’s sleeping area with bunk beds and panoramic window, safe, telephone, refrigerator. Bathroom furnishings: Separate WC-bidet area, maxi shower, King size bath, hair dryer, mirror for cosmetic purposes, high-quality towels and Piroche brand toiletry products. Alpine flair | exclusive | cosy In our new Lifestyle Suite, you can really relax at the end of a day out in the fresh and pure mountain air. Just think of the comfortable reading corner with panoramic window to enjoy the cold days, and of the large, soft sofa with audio system to spend a pleasant evening “just in two”. The entire room is furnished in “black & white” oak, and has a South-facing balcony. A small suggestion for a romantic evening: use the decorative fire for a truly special atmosphere. Furnishings (2018): 46 m2 with South-facing balcony, flat TV with satellite connection, free W-LAN with connection to daily press, safe, telephone, decorative fire, mini bar, and high-performance sound system. Bathroom furnishings: Separate WC-bidet area, bathroom with maxi shower, hair dryer, mirror for cosmetic purposes, high-quality towels and Piroche brand toiletry products. Alpine flair | chic | „room with a view“ In our Superior Double room, located in the outbuilding, you will find everything you need to relax. The ample environments and modern furniture with small kitchenette - which we will be happy to furnish at your request - guarantee an extraordinary level of comfort. A small suggestion: from the balcony, admire the Plan de Corones, one of the most renowned skiing complexes in the Alps. Furnishings (2011): 32 m2 with South-facing balcony, small kitchenette, flat TV with satellite connection, free W-LAN with connection to daily press, safe, kettle. Bathroom furnishings: shower, WC, bidet, hair dryer, mirror for cosmetic purposes, high-quality towels and toiletry products. Alpine flair | king size | morning sun In our XXL family room, located in the hotel’s outbuilding, you can truly feel at home. The large living room with table, lounge, and kitchenette, is ideal for making a coffee every now and then, and chatting in pleasant company in the evenings. The main attraction of this room involves the two separate sleeping areas, which guarantee more comfort and tranquillity. Furnishings (2005): 55 - 56 m2, wooden furniture, flat TV with satellite connection, free W-LAN with connection to daily press, large living area with table, lounge, kitchenette (to be furnished on request), and kettle. Bathroom furnishings: WC, bidet, shower, hair dryer, high-quality towels and toiletry products. .
Stay of children up to 7,99 years free and from 8 to 13,99 years 50% off! Vegetarian food , Home made products, Food for people with food allergies, Drink and snack machine, Bike rental, Gratis Skibus, Sunshade, Deckchair, Ski depot in the house, Ski pass service on site, Journals at disposal, Multilingual receptionists by day, Multilingual receptionists 24 h, Shuttle service (train station, airport), Pets allowed, laundry service, Snow boot dryer, Room service, Dog-friendly accommodation, Bike deposit, Family-friendly, Children's meals, Packed lunches, Quiet position, above 1000 m a.s.l.